Nebraska football fans were delighted with a 55-7 rout of Florida Atlantic on Saturday, racking up 784 (!) yards of total offense. Here are the three things you need to take away from the big win. Nebraska fans haven’t seen a comprehensive rout of an opening-day opponent like they did with Saturday’s contest. NU took at 24-7 lead with over six minutes to go in the second quarter and never looked back. Yes, the standard caveats apply about a poor opponent with a new head coach, especially with the Owls losing their playmaking dual-threat quarterback early in the game. But it’s been a long time since Nebraska fans got to see such an overwhelming performance from their team—and it’s a welcome sight in Memorial Stadium. After the first series, star defensive end Randy Gregory was nowhere to be seen. The fan base quickly noticed Gregory’s absence, and Memorial Stadium’s new fan-accessible wi-fi network was stretched to the limit with Google and Twitter searches looking for updates. According to the Omaha World-Herald, head coach Bo Pelini “probably could have gone back into the game,” and is now “day-to-day.” By the time Nebraska’s trainers likely realized Gregory could have come back, NU was well in control and wouldn’t need his play to win the game. And the play of backup Jack Gangwish, along with starter Greg McMullen at the other defensive end, made it an even easier decision to leave Gregory on the sideline. With an FCS minnow in McNeese State on tap for Nebraska next week, don’t look for NU to rush Gregory back into service. But the collective exhale you heard about 15 minutes after the game ended was the Nebraska fans’ reaction to hearing that Gregory’s injury wasn’t more serious. 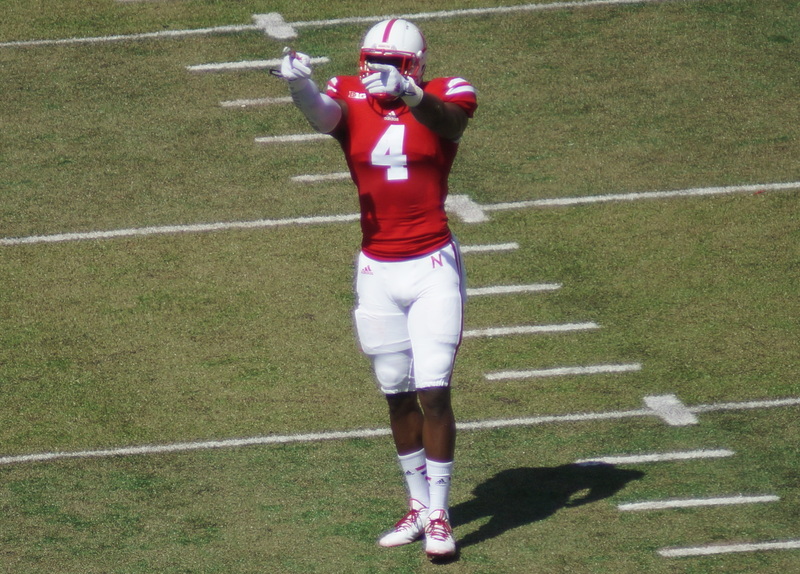 Yes, Ameer Abdullah was the star of the show, picking up 232 yards on the ground. But Kenny Bell and Terrell Newby also clocked in with 100-yard performances. And while Tommy Armstrong’s final completion numbers (15-29) weren’t what fans may have hoped for, he did complete a number of amazing passes both short and long that gave Nebraska fans reason to be excited going forward.